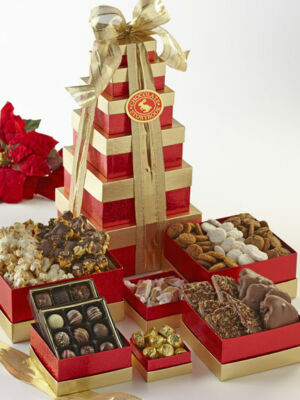 Seasons greetings stacked high! 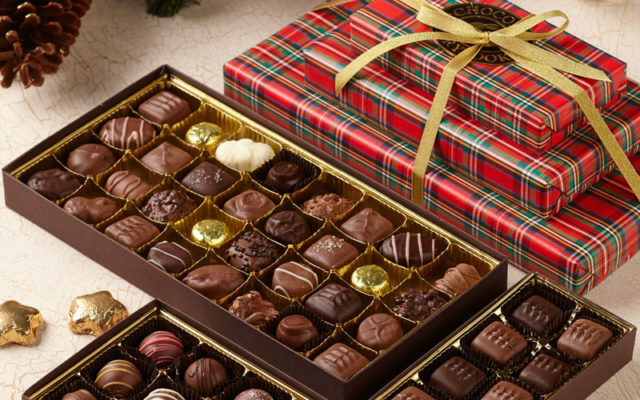 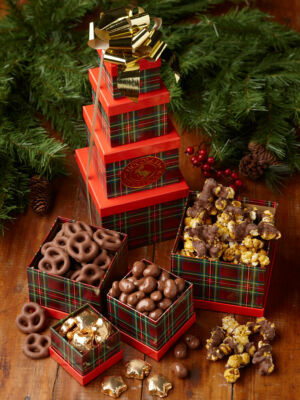 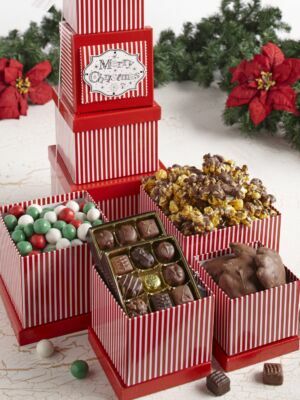 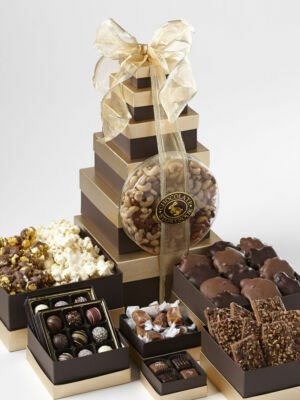 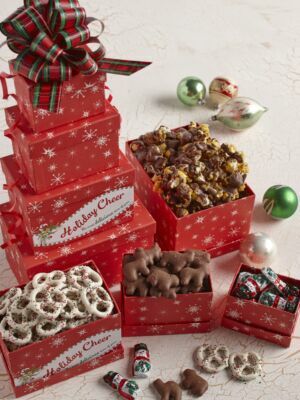 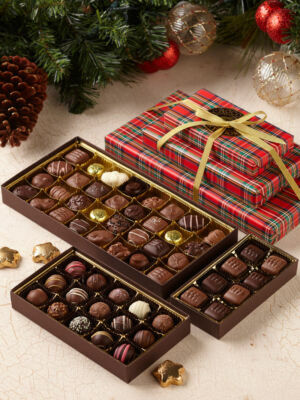 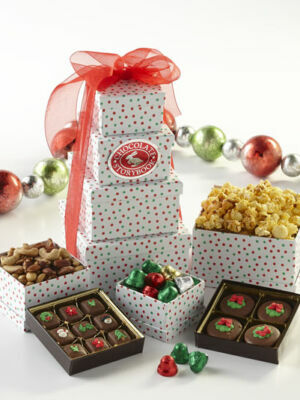 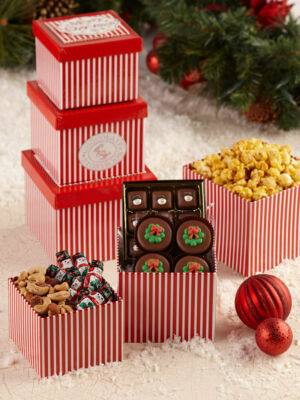 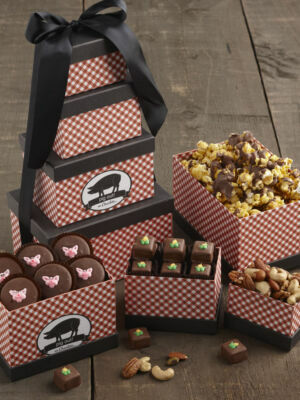 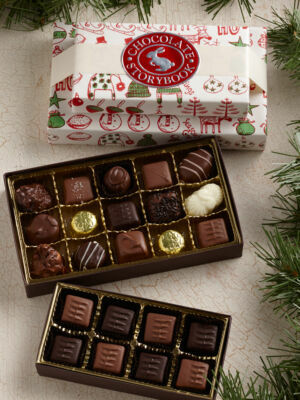 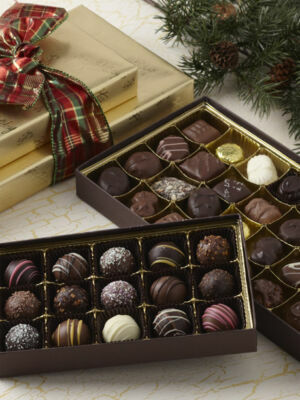 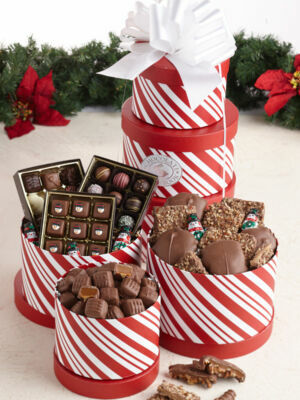 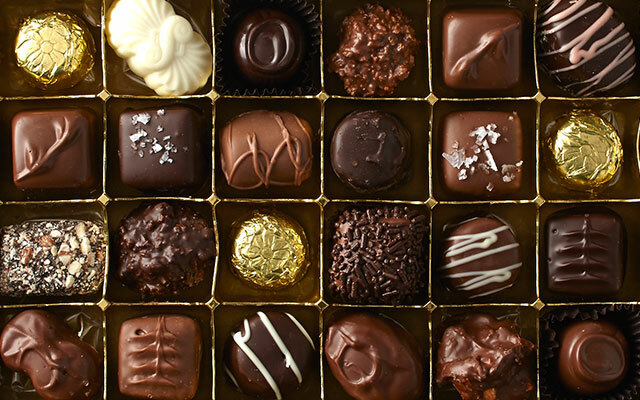 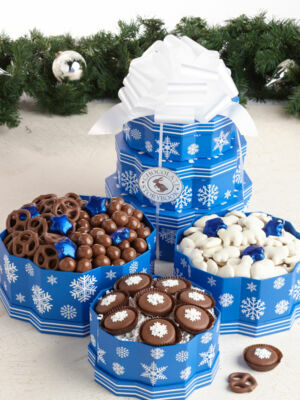 Chocolate Storybook’s Holiday Gift Towers leave other gifts in their considerable shadows. 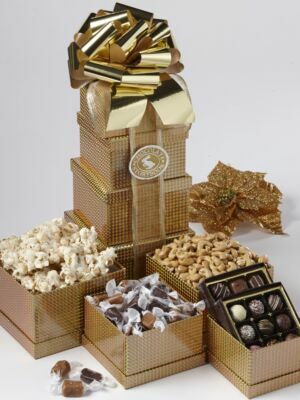 These are the height of deliciousness, gift boxes piled high in gorgeous arrangements of the most delectable chocolates and goodies around. 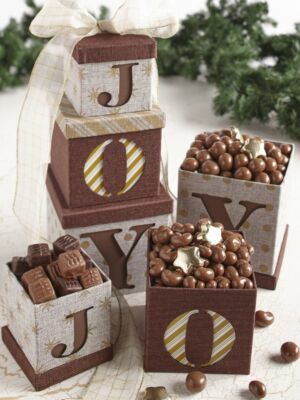 When you need to say something personal for the season, say it tall.